Elasto G5 is an adjuvant based on polyglycerol. The product promotes the wetting of a leaf surface and can improve the foliar uptake of an active ingredient. Elasto G5 improves the performance of the plant growth regulator daminozide and various fungicides, insecticides and herbicides. 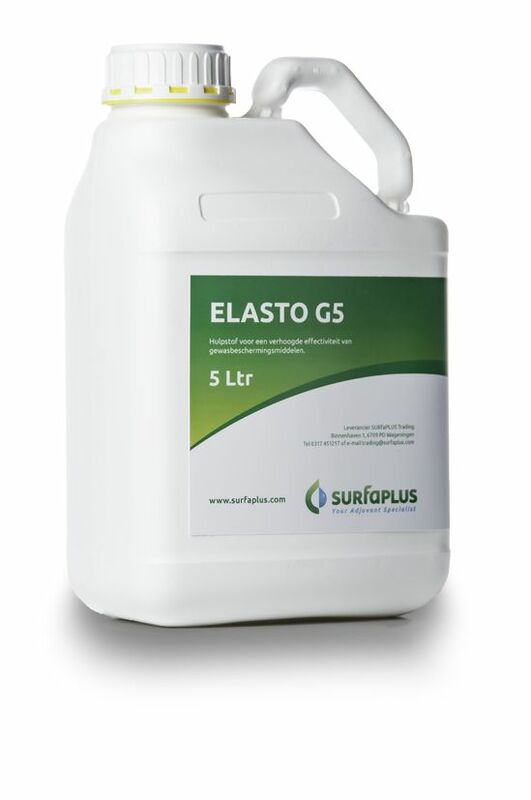 Elasto G5 is a quite crop friendly product and is used in many ornamentals and greenhouse grown vegetables as well. We recommend Elasto G5 for a few biopesticides. English label text. Tests of Elasto G5 with the growth retardant daminozide have demonstrated that addition of Elasto G5 can half the amount of daminozide that is needed for a certain level of growth retardation. It is calculated that, depending on the dose of daminozide, a cost reduction of more than 40% is possible. with daminozide in hydrangea, kalanchoe, petunia, sutera, campanula, platycodon, sunflower, Viola cornuta, potted chrysanthemum, Dahlia, Dahlietta, Solanum rantonettii, lavender and pelargonium. 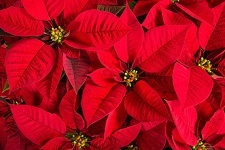 with chlormequat in poinsettia in order to reduce the number of applications. with mepanipyrim against powdery mildew. with Serenade (Bacillus subtilis QST 713) against powdery mildew in roses and cucumber. with Xentari (Bacillus thuringiensis var. Aizawai) against larvae of golden twin spot moth. with foliar fertilisers for a better coverage of the leaves. An English summary (pdf, 955 kB) of all tests with daminozide including a table with cost reduction can be viewed and downloaded. The results of the pelargonium test have been added and the financial benefits have been updated (May 29, 2018). Our poinsettia data with chlormequat plus Elasto G5 have been summarised in a document (pdf, 517 kB) that can be viewed and downloaded. Elasto G5 can enhance the foliar uptake of daminozide in kalanchoe plants 2.5 fold, according to an experiment at the Dutch horticultural research centre Botany. Results of this experiment are summarized in the document Elasto G5 - foliar uptake daminozide. Dealers in Denmark are i.a. Horticoop Scandinavia. For more information, please contact Hans de Ruiter h.deruiter@surfaplus.com. With the adjuvant Elasto G5 substantial reduction of the number of chlormequat applications. See test results. The adjuvant Elasto G5 doubles the foliar uptake of daminozide into kalanchoe. See test results.